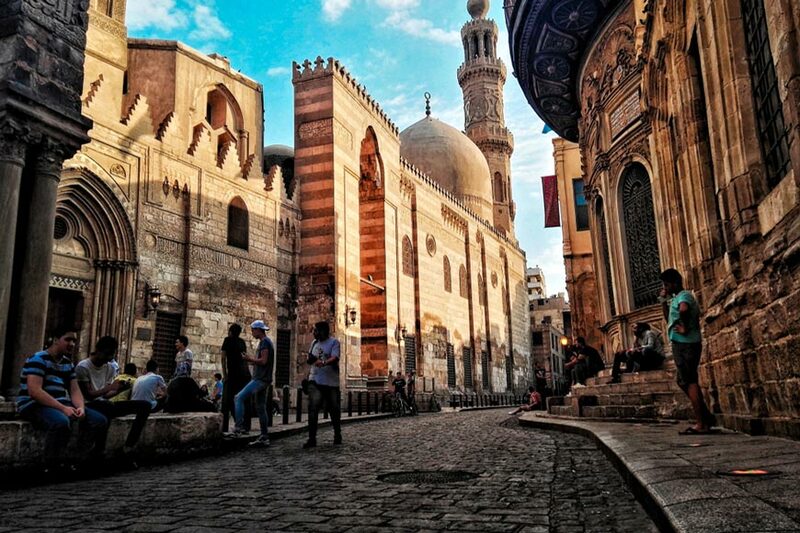 El-Moez street is an outstanding street that was known in Islamic Cairo as Al Moez Ldin Allah Al Fatimi Street. The street is named after the fourth Caliph of the Fatimid Dynasty and the 14th Ismaili imam who reigned from 953 to 975, Al Moez Ldin Allah Al Fatimi. Its location starts from Bab Al-Futuh in the north to Bab Zuweila in the south. The national government held some renovations in the structure of the street and to the buildings inside it making the street look like an open museum for tourists. 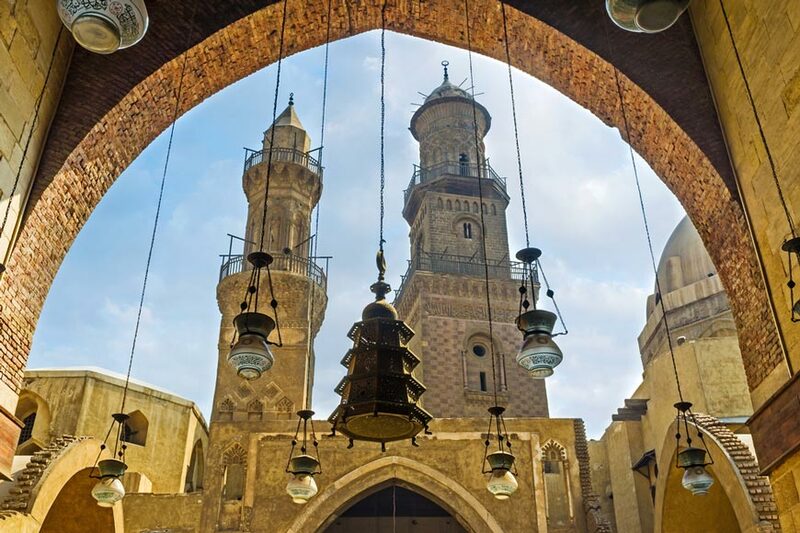 Its northern part extends from Al-Hakim mosque to the spice market in Al-Azhar Street whereas its southern part extends from the Ghuriya complex to the Bab Zuweila. In order to discover the great Egyptian civilization, you have to pay a visit to El-Moez Street. While walking along the street, you’ll find terrific historical cafés, shops, carts, and many other interesting Egyptian symbols. The art used in the construction of the street and its buildings reflect the exquisite history of Egypt during different periods of time. A lot of changes have been held in the construction of the original street. 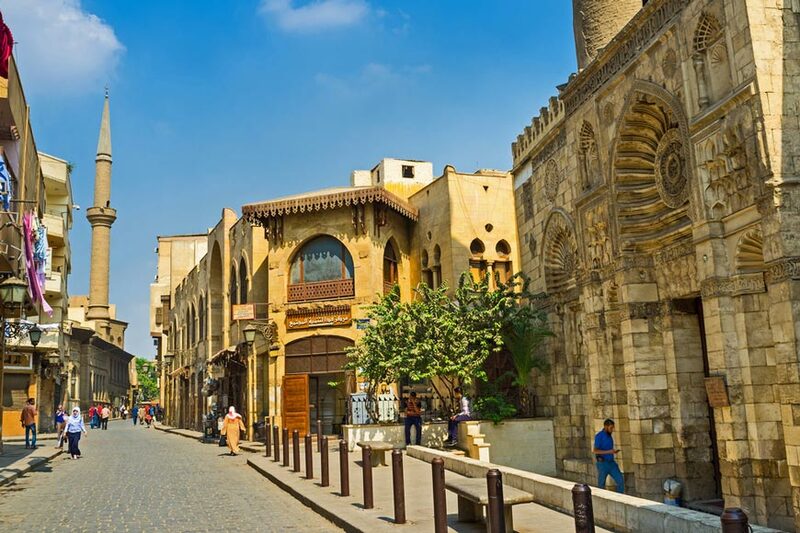 El-Moez street has been repaved and the government restored about 34 monuments along the street as an attempt to make it an irresistible tourist site in Islamic Cairo. There has been also a concentration over the lightening of the street at night so that additional light has been added to throw the focus on the buildings of the street. 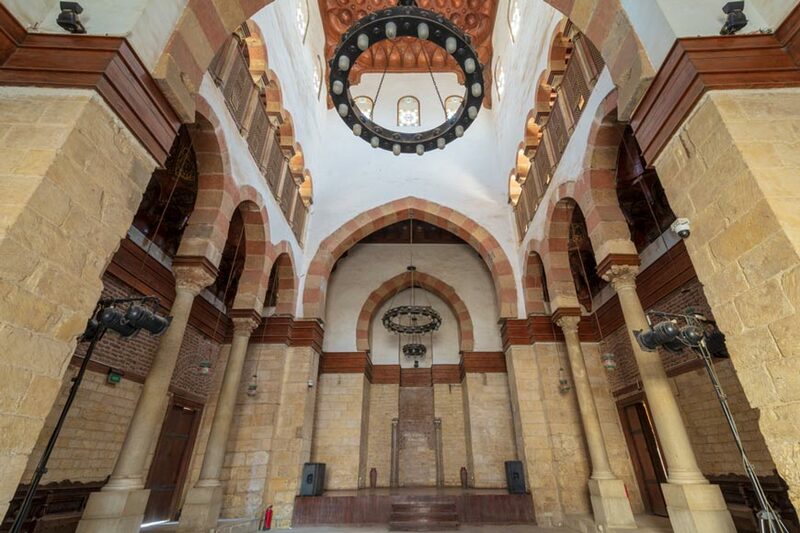 This mosque was named after the great 6th Caliph of the Fatimid dynasty. It consists of a rectangle that contains four walkways, which surround a courtyard. It was built by the Fatimid vizier Gawhar El-Seiqilli. The most interesting thing about this mosque is its two Minarets, the earliest surviving ones in the city and they attract both locals & foreigners. The area around this street and the street itself has many historical buildings. Those buildings are from Amr Ibn El-As era to the different Fatimid, Mamluk, Ayyubid, Ottoman eras and over to & Mohammed Ali’s era. 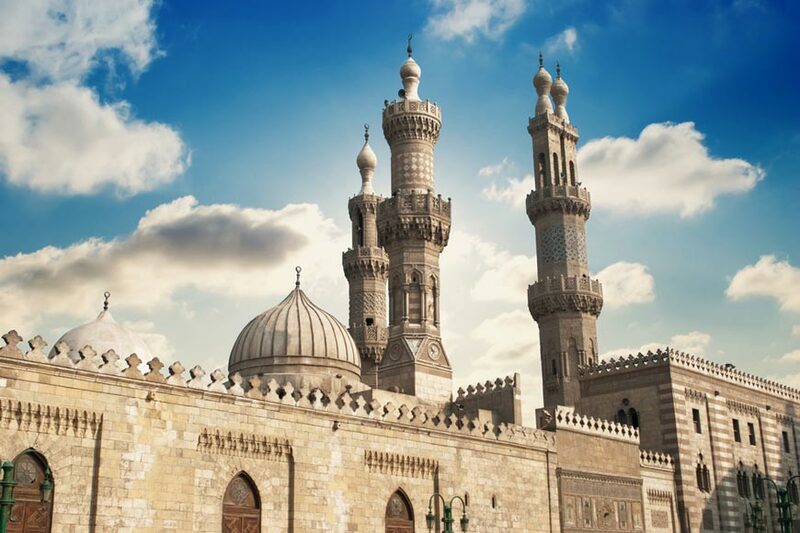 When you talk about El-Moez Street, you are in front of a unique artistic Islamic open-museum … you will never find anything like it in the world. So if you admired this street and want to explore it in person, we arrange various Cairo day tours to this street in addition to amazing other destinations in Egypt through our Egypt tour packages.